Birthday is very important occasion for everyone. If you want to surprise someone in China with a beautiful bouquet, we will be your best choices. The most popular birthday gift will be cake. We can deliver cake to China nationwide. sameday cake delivery is available. More cake please check here. You can also order birthday flowers. The romantic roses, pure lilies, warm carnations, all will make the one an unforgettable day! Chocolate bouquet or toy bouquet are also very popular. Please check the photo below by our local shop. 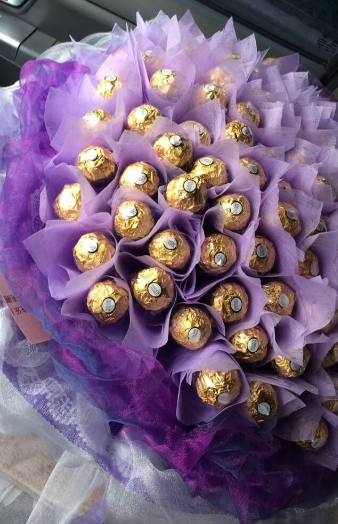 Very beautoful chocolate bouquet.